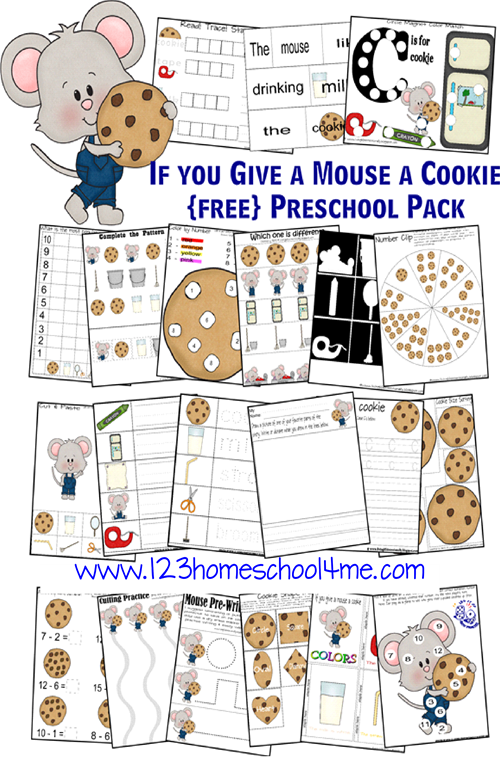 Get a free If You Give a Mouse a Cookie printable pack when you “like” 123 Homeschool 4 Me on Facebook. You’ll find 45 pages of free printables for children ages 2-6. This free printable pack is based on the book If You Give a Mouse a Cookie by Laura Numeroff. I subscribed to your blog, but wasn’t able to access the “If you give a mouse a cookie” pack. Can you send me another link? Jill, you need to contact Beth from 123Homeschool4Me.com. She is offering this freebie for subscribers http://www.123homeschool4me.com/2013/04/free-if-you-give-mouse-cookie-pack.html hope that helps! Can I have a copy please and thank you.